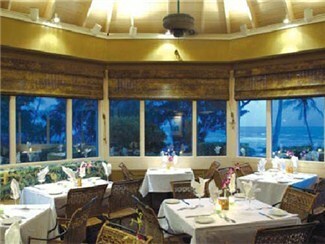 At the Thistle Lodge, delicious cuisine is served in a historical setting overlooking the Gulf of Mexico. Swaying palms and gently breaking waves further set the scene for romance. The menu at the Thistle Lodge includes a blend of Floridian, European, and Asian flavors. The seafood is fresh and hand-cut right in their kitchen to ensure the highest caliber product. The prime beef steaks are dry aged to enhance their flavor and tenderness. Herbs, fruits, and vegetables are custom-grown. Thistle Lodge is open for lunch and dinner daily. Guests enjoy service indoors or al fresco.